It was only fairly recently that I started to see the name Pure Alloy popping up. 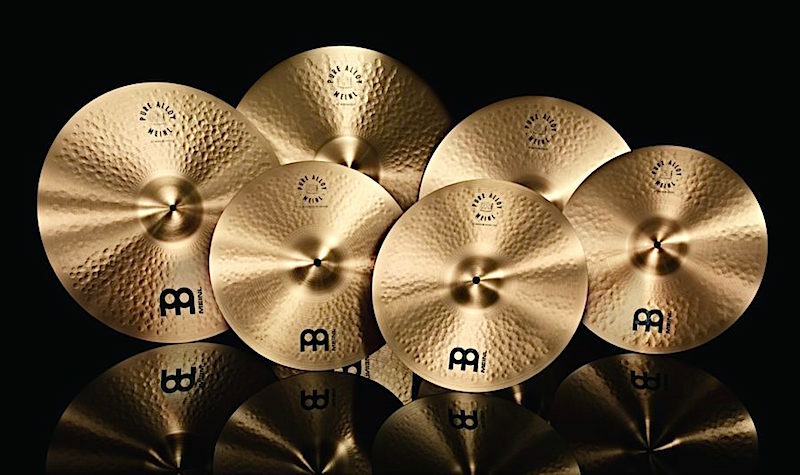 Anyway, this relatively new lineup includes a 10” splash, 14″ and 15″ hi-hats, 16″, 18″, 20” and 22″ crashes, 18” china and 20″ and 22″ ride cymbals. They’re all mediums. We were given the splash, some 14’ hihats, 18 and 20” crashes, the 18” china and the 22’ ride to try out. The line is made from B12 metal. Visually, they obviously have that nice clean look to them, but, what isn’t so obvious is that each cymbal has a flat, almost silky smooth top and more of a rough, lathed bottom. They also all have fairly low profile bells as well. What I liked about them though in this respect was the physical profile of the line. While it might not be all that noticeable, all of the cymbals (except the china) have quite a defined taper – more notable on the underside – from the edge up to the bell, perhaps a little more than other cymbals I’ve come across. Sound-wise, I found all of these cymbals to be very clean sounding and defined, as well as easy to play as none of them are overly heavy. As a set, they worked together well. 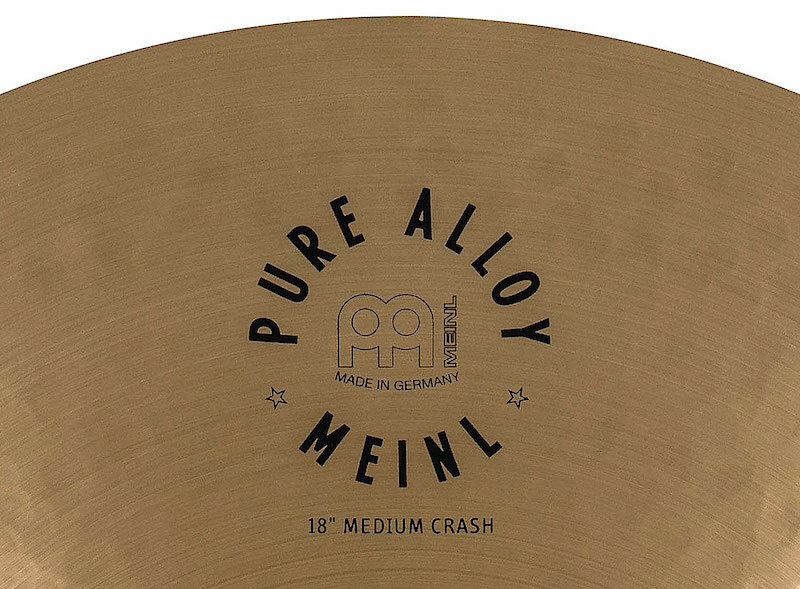 They’re not overly loud cymbals – Meinl says they’re intended to be medium to low volume – but all the same they seemed to cut nicely in my own fairly loud band situation. The splash has a good light splashy sound to it, which admittedly is the point, but isn’t always the case. I’ve always found that Meinl splashes deliver the most splashiest sounds to my ear and this one was right in line with that. I would love to see an 8” version. The 14” hats can do soft to crunchy with a fairly subtle stick sound in the middle. I guess you could say they’re quite middle of the road in what they give, but I see that as a good thing. These could be my ‘everyday’ hihats, something that stay in the case for whatever gig comes up. The 18” china is at the lighter and softer end of trashy when struck by itself, but when played with a snare hit it punctuates with a piercing and very bold statement. Genuinely, I didn’t like to hit it without hearing protection. It’s not the volume of it as such, but rather the frequency it produces. The crashes I found to be consistent with each other and while they each produced a good full sound, they’re not in your face with it. They’re not overly explosive and die out pretty quickly. Riding on the 20” a la Alex Van Halen produces a full sound but it doesn’t come across as overpowering. I can only imagine what the 22” model would be like to play in that context. The 22” ride has a clear bow sound and crashes nicely too. The bell isn’t what you would call cutting (maybe I just needed a heavier stick? 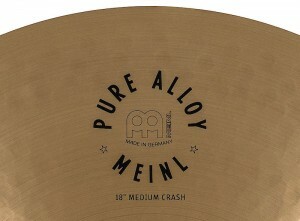 ), but it is reflective of a cymbal with this type of profile and weight. And, given they’re not really designed to be used in loud situations, that probably doesn’t matter too much overall. In terms of usage, as I mentioned Meinl says this line is aimed at medium to low volume, which means anything from jazz to pop to certainly light rock. Given their clarity and clean sound, they would probably be really good in the studio as well since they don’t really have a long decay or produce any potentially nasty overtones. As I said, these are very clean sounding cymbals. They’re probably not going to win out that well in very loud situations, but having said that, the larger crashes – the 20” and 22” – actually might not do too badly in that department. But, taking into account what these cymbals are actually designed to do, I think they do it very well. Like I mentioned, the collection I had to try worked well together and sounded like a set which means if you bought a bunch of them you might not need anything else in your bag when you leave home.